Summary: You may not have to replace your worn down sofa. There’s a much cheaper alternative. Is your couch “falling apart”? Do you feel like you need to throw away the old cushions or even buy a new sofa? Many homeowners face the tall task of tossing their old couch and spending thousands on a new one. And, this isn’t a cheap task either. 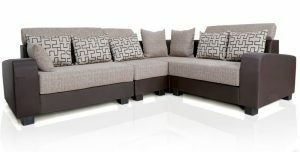 Most couches that are durable and constructed correctly can easily set you back a couple thousand dollars. Save money on couch cushion replacement costs with these tips. If you haven’t done so already, check the inside of your cushions. Does the foam seat look worn down and flat? If so, you’re in luck. This can be easily replaced for a fraction of a new cushion. Why replace the whole thing, when you can save money and rejuvenate the feel of your couch for a cheaper price? Simply find a foam manufacturer, order the size and type of foam that you want for your cushion, and voila! The same can be done for your patio cushion pieces as well. As long as there isn’t significant damage done to the frame or the entire couch, there’s no need to replace it, unless you’re looking for something entirely new – but that’s a different story. You can cut costs by simply replacing the innards of your cushions. It’s that easy. But, be sure that the cushions are the root of the problem. Replacing them isn’t going to fix a dented couch frame. However, it can be a solution to many problems homeowners are facing today.